Rui Pita Perdigão is Doctor in Physics from the University of Lisbon, Endowed Professor and founding Chair of the Meteoceanics Interdisciplinary Centre for Complex System Science, Director of the associated Doctoral School on Complexity (M-DSC) and Chairman of its new entrepreneurial branch. Moreover, he is an Editor of the journal Earth System Dynamics from the European Geosciences Union and serves on project review panels. Rui is also Coordinator and Head Lecturer of the academic and research program on Fluid Dynamical Systems, which he launched at TU Wien Austria and M-DSC. The program is now associated to his endowed chair in Physics of Complex Systems, comprising further courses on nonlinear dynamics and analytics of complex systems, from theoretical foundations to multidisciplinary applications. At the Centre for Ecology, Evolution and Environmental Changes (cE3c), Rui Pita Perdigão is primarily affiliated to the Centre for Climate Change Impacts, Adaptation and Modelling, while also pursuing cross-disciplinary work relevant to the broader cE3c. He is further involved in doctoral supervision and is introducing one of his courses on Complex System Dynamics, Analytics and Predictability in Earth and Environmental Sciences. Among Rui’s activities of special relevance to the Centre, one would highlight his scientific and academic innovation in the Physics of Evolutionary Complexity, bridging information physics with dynamical systems and far-from-equilibrium statistical physics to formulate fundamental principles in the mathematical physics of complex coevolutionary systems. Of special relevance are also his methodological advances in complex system modeling and nonlinear big data analytics, along with applications to the development of robust prediction and decision support tools to address environmental extremes and other disruptive structural-functional criticalities in the coevolutionary Earth System under climate change. Rui Pita Perdigão obtained a Doctorate in Physics with the highest honours from the University of Lisbon in 2010. His doctoral works were mostly developed abroad as a visiting scientist to international research centres in Italy (NURC-NATO) and Belgium (RMI-Spacepole), and were funded by an individual grant from the Portuguese Science Foundation. He has later moved to Vienna, Austria, where he has been conducting independent and collaborative research on the dynamics and predictability of complex systems, from theoretical and methodological research in nonlinear science and information theory, to the investigation of fundamental mechanisms underlying synergistic and coevolutionary complexity in the Earth System, along with the development of novel analytical, modelling and decision support frameworks for institutions entrusted with protecting the society and the environment. Also in Vienna, Rui Pita Perdigão has taken part in the core team of the international “Flood Change” consortium, headquartered at TU Wien and funded by the European Research Council. There, he has served as the Earth System Dynamics representative, responsible for the development of mathematical physics methods for deciphering coevolutionary hydro-climate dynamics and river flood changes in the light of complex Earth System interactions. Moreover, he has been establishing a new international network in Earth System Dynamics, Analytics and Predictability, organizing international workshops and coordinating international conference sessions on Nonlinear Geophysics and Hydroclimate Dynamics, e.g. at AGU and EGU, along with academia-industry transfer of knowledge and outreach activities. 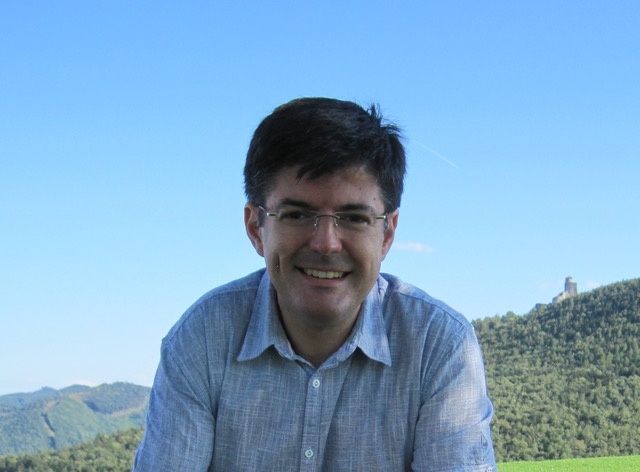 In the scope of his chair, Rui Perdigão has developed a mathematical physics theory linking interaction information signatures in multiscale geophysical fluid dynamics with underlying mechanisms grounded on nonlinear scale interactions and synergistic emergence in wave mechanics and fluid flow. In doing so, his advances have brought out novel physical insights on polyadic wave resonance among planetary, synoptic and mesoscale waves in fundamental fluid dynamic terms, explaining observed information-theoretical and nonlinear signatures of emergence, and shedding further light on elusive emergent behaviours in multiscale flows, e.g. behind far from equilibrium transient dynamics behind “extreme” meteorological phenomena. Moreover, Rui has introduced a non-ergodic coevolutionary theory of information physics, generalising information theory to encompass far-from-equilibrium statistical mechanics, where there is event codependence and the traditional information measures do not hold. His novel methodologies unveil and quantify elusive synergistic and coevolutionary predictability beyond post-critical spatiotemporal memory loss, long after nonlinear multi-information vanishes. The collapse of dynamic regimes and nonlinear memory in far-from-equilibrium non-ergodic dynamics is thus no longer an obstacle to system understanding and prediction. The theoretical advances from Rui Pita Perdigão are now shedding light onto fundamental problems ranging across scales from evolutionary open quantum systems to coevolutionary earth system dynamics and thermodynamic cosmology, peering into the fundamental Physics of Evolutionary Complexity.